· CalArts offers two animation degrees: Experimental Animation that encourages innovation and personal expression and Character Animation that emphasizes character development and storytelling. · CalArts offers students the opportunity to study their craft at the Valencia campus, to exhibit their work at Redcat, CalArts’ LA venue for contemporary art, and teach at the Community Arts Project that offers free after-school and school-based art classes for youth. · Watch some of the student showcase films from 2014 Character Animation students and 2104 Experimental Animation students – too many to list here! · The Evergreen Animation Labs provide proficiency training, then access, to students in two, 2D labs for cut-out, drawn, sand, paint on glass, collage and rotoscoping animation techniques; and one 3D lab for Claymation, stop-motion, puppet animation and strati-cut techniques. · Evergreen’s animation curriculum is taught in interdisciplinary programs in conjunction with dance, music, performance, religious and ritual studies, visual art, math, physics, literature, social studies, history and natural history. · Student work by Evergreen animation students is showcased frequently on campus and beyond. · The curriculum for the major in animation includes foundation courses in painting, drawing, and sculpture, core requirements in art history, and over 30 courses animation design. · The MICA Artist Residency Program in Brittany allows students to practice their craft in a community of artists in the village of Lehon, France. · Student animation samples: Becoming Music by Turner Gillespie, Lobster Boy by Heather Winchell, The Goldfish Kite by Juliana Chen. · Ringling’s 4-year curriculum includes foundation classes in drawing and writing, and students begin animation classes in the first year. · All selective animation programs require a portfolio as part of the application. Ringling’s website includes an excellent video about portfolio preparation. 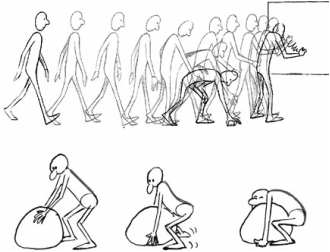 · Watch student animation for the Class of 2013 – too many to list! · SCAD offers animation student the opportunity to study at one of three campuses that offer the BFA in animation – Atlanta, Savannah, or in Hong Kong – and can choose a study abroad in Lacoste, France at SCAD’s campus there. · Animation students at SCAD study 2-D, 3-D, stop-motion, lighting, and digital modeling, and combine their animation talents with students in other disciplines such as motion media, interactive design and game development. · Examples of student work: Illuminate by Lauren Duda, Ollie the Day Owl by Allie Rotenburg, I Declare War by Kyle Miller, Rain Dance by Nate Swinehart. Animation Career Review offers a description of 100 colleges that offer animation programs. A few of those are California College of the Arts, Carnegie Mellon University (PA), Champlain College (VT), Cleveland Institute of Art (OH), DePaul University (IL), Drexel University (PA), Eastern New Mexico University, Laguna College of Art & Design (CA), Mount Ida College (MA), Rhode Island School of Design, Rocky Mountain College of Art & Design (CO), University of Central Florida, University of Southern California, Woodbury University (CA). The National Association of Schools of Art and Design lists all accredited members.